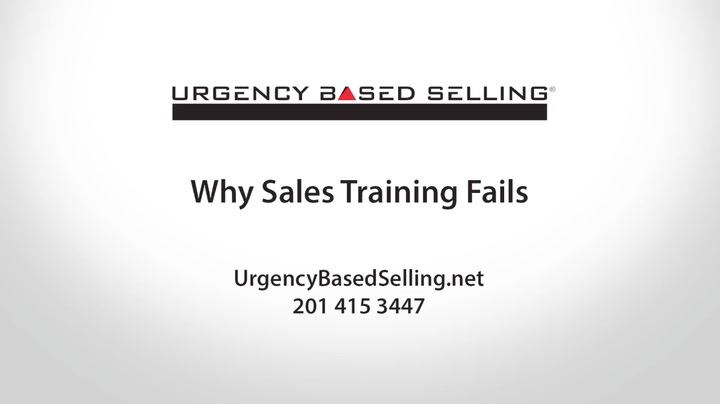 Sales training fails when we don't address the salesperson's underlying values. A common approach to sales training to improve sales behavior is to simply provide clear instructions. tell salespeople what to do, and all will be well. A better training program engages the sales team through role plays. Engagement gets more skin in the game. So why is it that after this sales training, salespeople go back to their old behavior? If we don’t address the underlying value, there will be failure. Training is like stretching a rubber band, then letting go…the mind, like the rubber band goes back to it's original shape. Why? This happens when the salesperson’s value system doesn’t support the needed behavior. Salespeople often don't want to challenge the prospect's thinking, or close the sale. Coaching can stretch their minds, but they’ll likely to return to the old behavior . Social sellers want to make friends. They want to be liked. Business sellers have business values. They want profitable customers. Most salespeople enter the work force with a clear sense of what is socially appropriate behavior. As a result, they're crippled for business development. Therefore, we have to lead them on a journey through the change curve.